Ali Zafar is most popular Pakistani Pop Music, Bollywood Music Singer. He started his career as a Music Composer and gained popularity by his single "Channo" from his popular Album "Huqa Pani". He is great Folk Music, Pop Music Singer and he got lot of Awards. He also worked in several Films including "Mere Brother Ki Dulhan", "Chashme Baddoor" and "Dear Zindag". He got five Lux Style Awards and a Filmfare Award. Ali Zafar had performed an item number "Six Pack Abs" in the sequel of his 2010 Film "Tere Bin Laden" "Tere Bin Laden: Dead or Alive", which was released in 2016. He also performed two songs for Pakistan Super League, first one was the Anthem for the first season of the League, and other was the Anthem for the franchise of Islamabad. Ali Zafar has sung with love and heart and also he is master of music goes to put affects on spirit of every persons. I have selected Super Hit most popular Free MP3 Music of Ali Zafar. 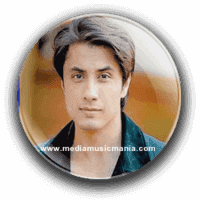 Ali Zafar his orginal name is (Ali Muhammad Zafar) was born on 18 May 1980 in Lahore Pakistan, He is great Pakistani Actor, Singer Songwriter, and Musician, he create great name in Pakistan Music. Ali Zafar started out on Pakistan Television, after he established his career in Hindi Cinema and he is successful into Bollywood Films. I have selected above most popular Pakistani Pop Music and Bollywood Filmi Music of Ali Zafar.